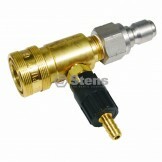 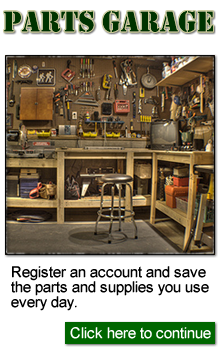 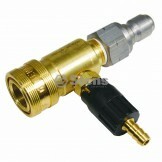 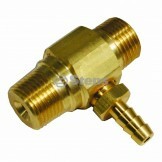 Check out our selection of pressure washer miscellaneous parts. 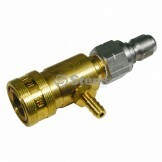 Adjustable Chemical Injector / General Pump 100633Part number: 758-159Pack size: 1UPC code: 02389923..
Adjustable Chemical Injector / General Pump 100634Part number: 758-163Pack size: 1UPC code: 02389923..
Chemical Injector Fixed / General Pump 100630Part number: 758-187Pack size: 1UPC code: 023899234318R..
Chemical Injector Fixed / General Pump 100631Part number: 758-195Pack size: 1UPC code: 023899234301R.. 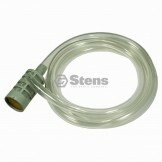 Detergent Injector Hose / 1/4" Inlet; 4' HosePart number: 758-739Pack size: 1UPC code: 023899184255R.. 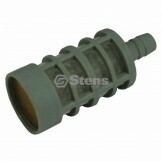 Detergent Pick Up Filter / General Pump D40003Part number: 758-005Pack size: 1UPC code: 023899290314.. 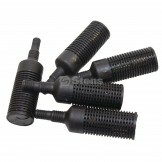 Detergent Pick Up Filters / 1/4" Hose BarbPart number: 758-933Pack size: 1UPC code: 023899464111Spec.. 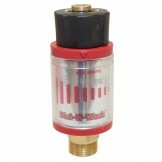 Dial N Wash / Variable Pressure RegulatorPart number: 758-725Pack size: 1UPC code: 023899454365Speci.. 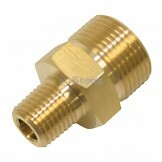 Fixed Coupler Plug / 1/4" Female InletPart number: 758-934Pack size: 1UPC code: 023899458943Replaces.. 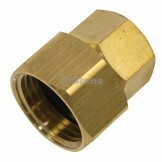 Fixed Coupler Plug / 1/4" Male InletPart number: 758-918Pack size: 1UPC code: 023899458844Replaces O.. 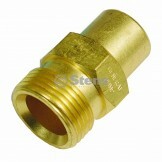 Fixed Coupler Plug / 3/8" Female InletPart number: 758-914Pack size: 1UPC code: 023899458820Replaces.. 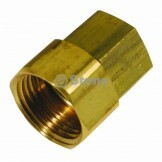 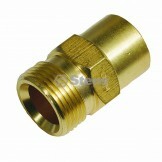 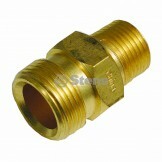 Fixed Coupler Plug / 3/8" Male InletPart number: 758-938Pack size: 1UPC code: 023899458998Replaces O.. 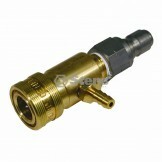 Fixed Injector / General Pump 100820Part number: 758-183Pack size: 1UPC code: 023899234325Replaces O.. 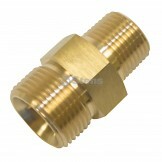 Fixed Twist Connector / 7.8 Gpm;3,650 Psi;3/8"f InletPart number: 758-287Pack size: 1UPC code: 02389.. 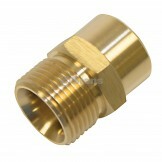 Fixed Twist Connector / 7.8gpm;3,650 Psi;1/4" InletPart number: 758-655Pack size: 1UPC code: 0238991.. 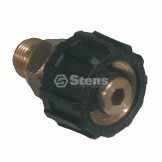 Fixed Twist Connector / 7.8gpm;4,000 Psi;3/8" M InletPart number: 758-271Pack size: 1UPC code: 02389.. 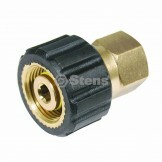 Fixed Twist-fast Coupler / 3/8"m Inlet;22mm X 1.5 F OutletPart number: 758-683Pack size: 1UPC code: .. 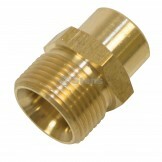 Fixed Twist-fast Coupler / Female 22mm X 3/8" FemalePart number: 758-551Pack size: 1UPC code: 023899..
Garden Hose Adapter / 1/2" F X 3/4" FghPart number: 758-607Pack size: 1UPC code: 023899173952Replace..
Garden Hose Adapter / 1/2" F X 3/4" FghPart number: 758-942Pack size: 1UPC code: 023899459032Replace..